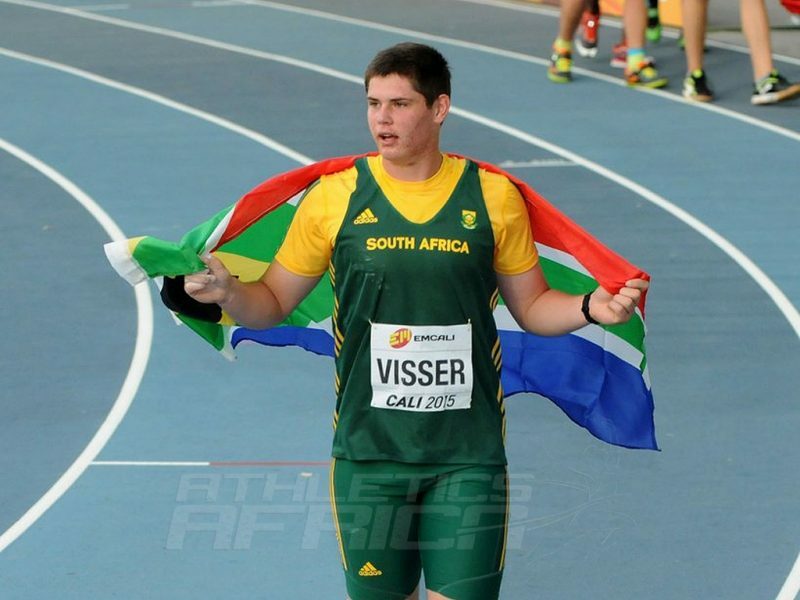 The South African Sports Confederation and Olympic Committee (SASCOC) have named some of the medallists at the just concluded IAAF World Youth Championships in Cali to the team to compete at the 2015 Commonwealth Youth Games in Apia, Samoa from September 5-12. Led by Cali 2015 boys’ discus throw champion, Werner Visser, the South African athletics contingent comprise of five boys and three girls. The team will be joined by athletes from five other sporting codes - Boxing, Lawn Bowls, Rugby Sevens, Tennis and Swimming - with the biggest code in terms of numbers being Rugby Sevens with a squad of 12 representatives. "As per the norm, we have selected the best athletes to represent our country and fly the nation’s sports flag high," said Mr Clifford Cobers, Chef de Mission for Team SA, who will lead the team. "Apart from the sports activities, the fact that these games are being held in the remote nation of Samoa, offers our athletes the opportunity to visit a country not often visited by South Africans." "I therefore urge the athletes to grab this opportunity and enjoy this unique experience," added Cobers. SASCOC CEO, Tubby Reddy added: "The Commonwealth Youth Games, just like the Youth Olympic Games, are an extremely important part of South African sport. It’s at events like these that the stars of the future really start rising to the surface. "When South Africa competed at the 2009 CYG in Pune, India, it was at these games that Chad le Clos first started turning heads with his talent. He has since gone on to win a gold and silver medal at the 2012 Olympic Games in London."